Would your family benefit from seeing a therapist? If so, I’d love to help you as you work through the things that come your way in life. Making the decision to find a therapist can be a tough one, but if your family is going through difficulties, having a trained professional who can help you to pinpoint positive patterns to create harmony can make a world of difference. No matter what your family is going through, you don’t have to go through it alone. 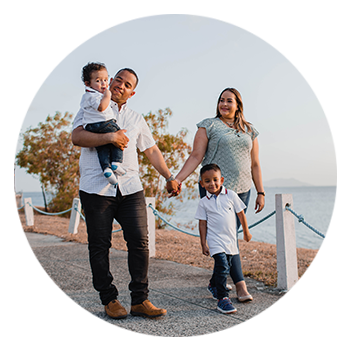 It’s true that there’s nothing in the world quite like family, and at Two Rivers Counseling, my approach is to help families find the patterns they’ve fallen into that sow discord and frustration. If you need a family counselor in Portland, I’d love to work with you. Seeing families as an intricate system of individuals forms the foundation of my work in this area. This “Family Systems” model views the difficulties that families are having as a complicated interplay between the individuals, rather than the fault or pathologizing of one family member. Utilizing this systems approach, the family members and I co-discover what roles each person has taken on. We ask about the power structure within the family. I help families to delineate the typical patterns of interaction which do not serve the family. We then vision what positive patterns and inter-relationships would be preferred. Harmonious and collaborative change is strived for, in the service of a more loving, patient, and compassionate family system. If you are seeking family counseling in Portland, I would love to help you work through the difficulties you’re experiencing. Get in touch using the links to the right to schedule your appointment. Silence where once there were giggles. It hasn’t been so long. And work to find family.